Somewhere along the way, after graduating from Loyola University with a degree in psychology, Kathleen found herself working as a travel agent – and the opportunity to see the world. Visiting places steeped in native culture, she carried away an “accept and embrace” attitude toward life and, also, a growing affinity for the colors and textures of fine fibers. 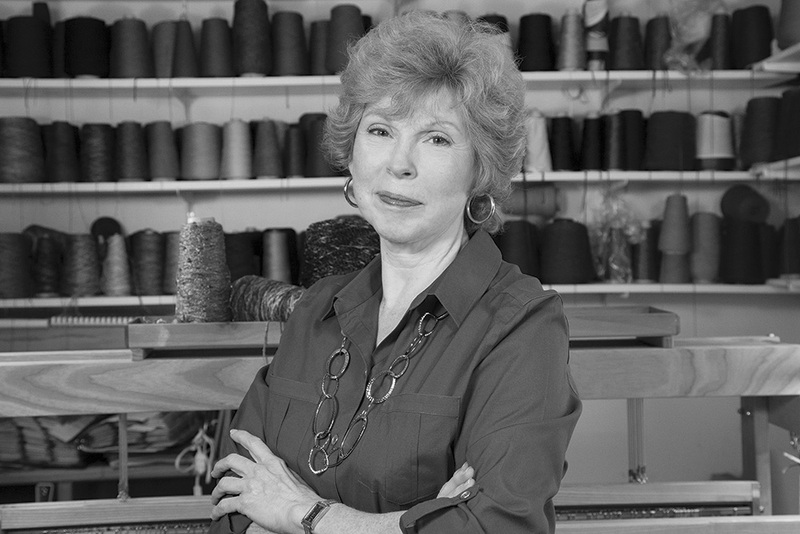 She soon found her artistic voice in the shifting colors of variegated yarns and her innate sensitivity for the way colors interact with one another as expressed in her unique hand-woven clothing created in her Hendersonville, North Carolina, studio.